This recipe, providing enough honey-mustard mayo for at least six servings, is not only easy to put together, but the reward is worth ten times more than the mere 15 minutes it takes to throw it all together. The fact that this recipe includes Manuka honey is just the cherry on top of an already delicious meal. If you think you want to try this sandwich and its homemade honey-mustard mayo, then just follow our quick guide below and you’ll be flying high! For the Raw Honey-Mustard Mayo: Using a food processor’s bowl you’ve fitted with the blade attachment, combine the egg yolks, the water, the lemon juice, the white vinegar, the salt, and the Dijon mustard, blending until smooth. While the motor is running, pour your vegetable oil slowly into the bowl, blending until emulsified. From there, move the mixture into a medium-sized bowl before stirring in the Manuka honey and the yellow mustard. 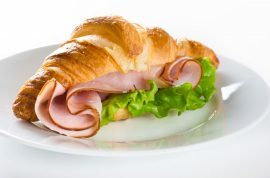 For the Ham Croissant: On the bottom-side of every croissant, spread about one tablespoon of the honey-mustard mayo. 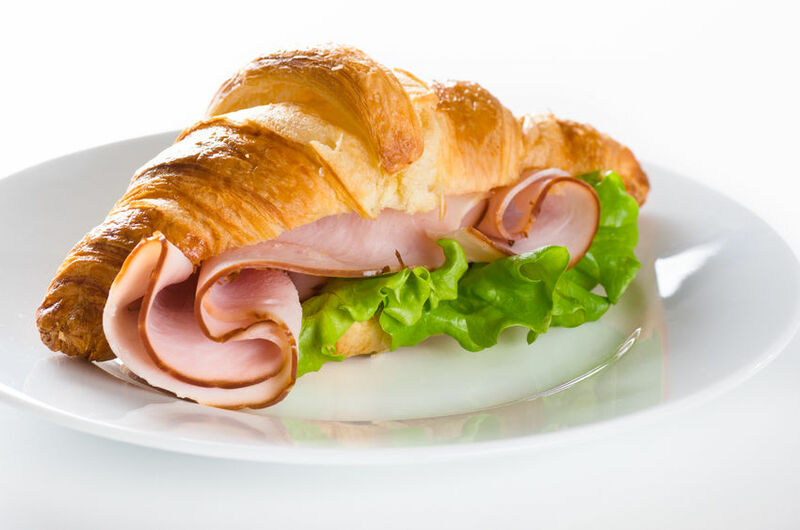 Top the mayo with the ham slices, one lettuce leaf, Swiss cheese, and the tomato and cucumber slices, adding the top layer of the croissant. From here, you may serve immediately. Note: If you end up making more honey-mustard mayo—either intentionally or by accident—then consider using it for dipping sauce, possibly for chips or chicken nuggets. Need to get some raw honey to make this recipe? To see all of our raw honey products or to get your order started, click here. And remember, we offer FREE shipping on all orders of $150 or more.